For many Bernie Sanders supporters, especially those still mourning the end of a presidential campaign that inspired them, the general election is making them look for alternatives. Now, Green Party presidential nominee Jill Stein is trying to appeal to disaffected Sanders fans, even joining in with the protests at the Democratic National Convention in Philadelphia in July. Stein, a Massachusetts doctor who ran in 2012, as well, is getting more mainstream attention, especially as many Berners are turning to her as the better choice than switching over to #ImWithHer — but are Stein and the Green Party ready for it? Tuesday night, Stein and her running mate, civil rights activist Ajamu Baraka, had their biggest platform to date to appeal to curious voters throughout America, appearing on a CNN Town Hall moderated by Chris Cuomo. It was their best chance yet to convince the country that the Green Party is not a fringe group, but a serious political party with a plan to run the country. Except so far, they've had trouble with the whole "serious" part. During the town hall, Cuomo asked Baraka about a blog post on his website where he referred to Barack Obama as "your uncle tom president." In response, Baraka stood by his racial slur use, and Stein did not denounce the rhetoric. Granted, this exchange was one comment over the course of an hour-long series of questions, but it highlights the problem that Stein and Baraka have with earning any semblance of mainstream appeal. Being outside the political mainstream lets the Green Party escape some of the compromises that the two-party system foists upon political views. But it also opens them up to some of very fringe views normally kept out. 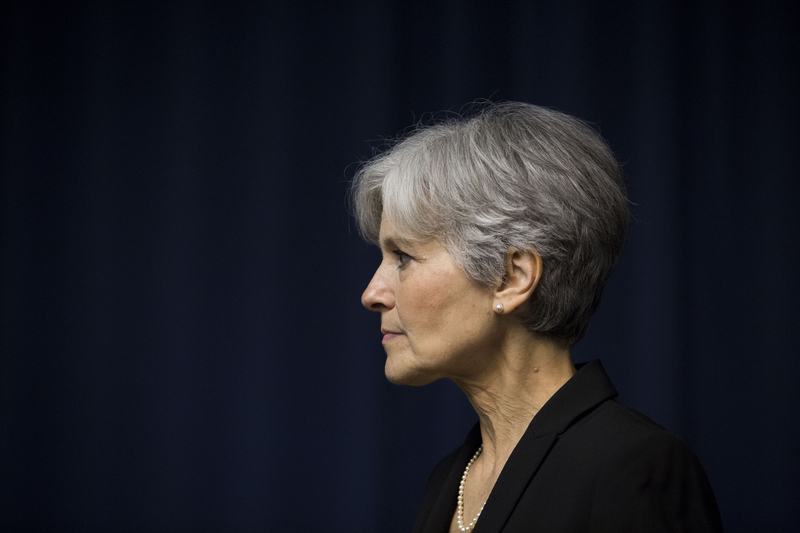 Stein herself has been no stranger to controversial comments that wouldn't fly with mainstream candidates for the presidency. Stein has come under fire for telling the Washington Post there are "real questions" about vaccines, a striking stance for a licensed medical doctor. While she used her view of vaccine to stress that "there is rampant distrust" of government regulatory agencies, that opinion of vaccines doesn't necessarily sit well with mainstream voters. Stein has also expressed concerns about the effect of Wi-Fi in schools on children's brains. Stein has little background in government or public policy — she was elected twice as Town Meeting Representative for her hometown of Lexington, Massachusetts, and unsuccessfully ran for governor of the state. As far as I can tell, her most impressive foreign policy credential is having sat across the table from Vladimir Putin at a 10-year anniversary event for Russia Today, which has been notably positive in its reporting on Stein. It's worth comparing the Green Party's strategy, of running ideological purists and political outsiders who say things outside of the mainstream, with that of the Libertarian Party, which has built a presidential ticket of two former Republican governors, moderating some of their views to appeal to Americans not normally open to third parties. In a poll of Texas released Tuesday, the Libertarian presidential candidate, Gary Johnson managed to notch six percent of the vote to Stein's two. Also at 2 percent: Harambe the dead gorilla. You can't even say the Green Party is in good company.